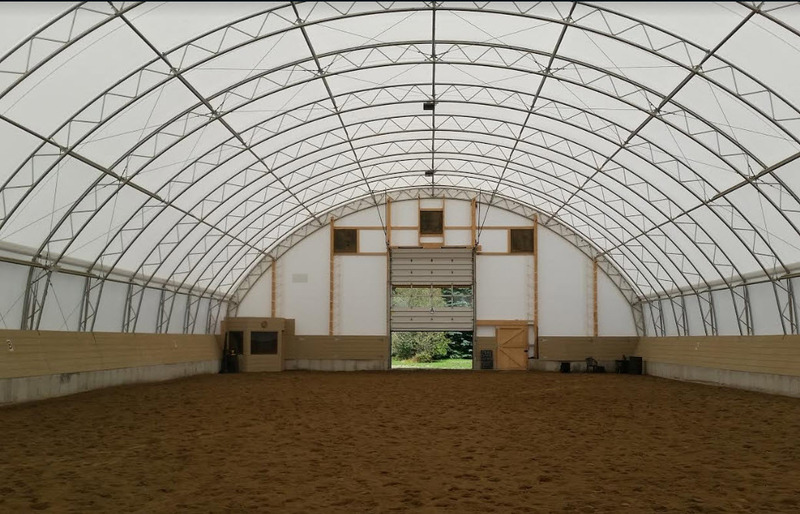 Indoor Covered Riding Arenas- Economical Luxury for 2019! 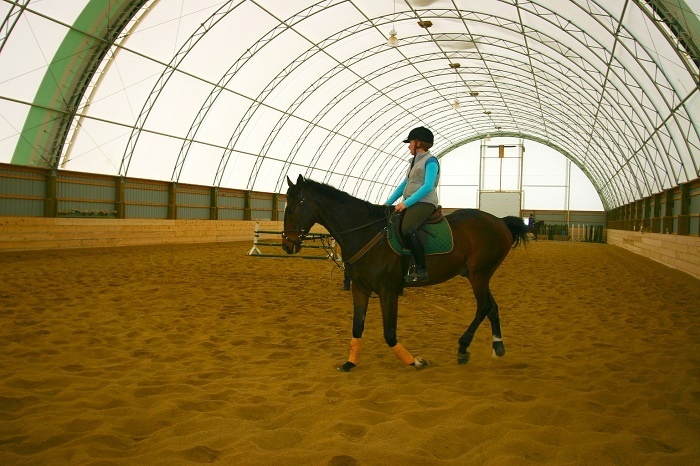 With an indoor covered riding arena from Britespan, you can ride and train year-round, regardless of weather conditions. This extraordinary riding experience offers no interior columns as seen with traditional metal or wood buildings. This customizable structure allows you to utilize as much space as possible. With the sound-absorbing quality of the fabric covers, outside noises are reduced and there is no indoor echoing, providing a peaceful, stress-free, healthier environment for riders and horses. Natural ventilation reduces fungus and mold potential. The light fabric brings natural lighting into the arena. Lighting is also particularly important since the sensitivity of horses to dark and light makes it essential to have consistent lighting. 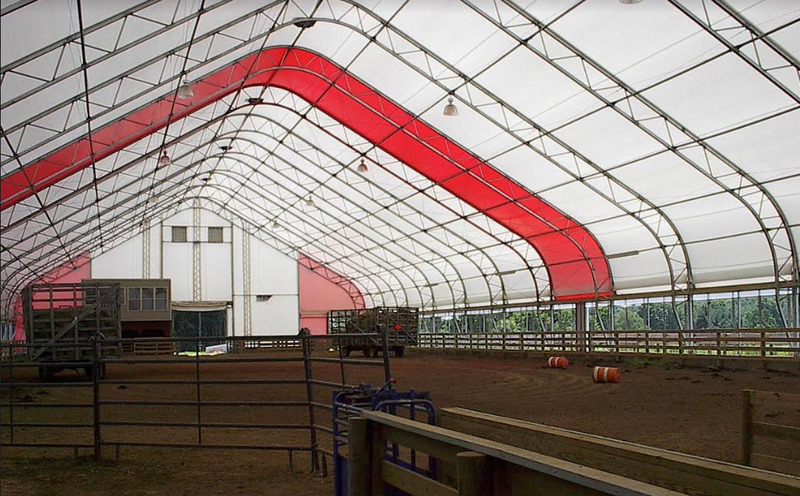 Let us capture your vision for a fabric roof riding arena that marries beauty, sophistication, and style in a utilitarian riding environment. The convenience for many trainers of having the facility on site for out-weighs other off-site situations. Gain control of the environment and your time. What type of riding will you be doing in the building? Is this a commercial arena or just for personal use? Would you like the sidewalls to be open or closed to the ground? We can install operable curtains as well. Do you have a foundation in mind? Some arenas have raised continuous footings and grade beams while others have piers. How will you be controlling the dust on your footing? Are you planning sprinklers or one of the new footings that are on the market? What about ventilation? We have building options with eaves that work well with open sides. Indoor Horse Arenas with great lighting questions?